Nextbit, maker of the crowdfunded Android smartphone Robin, has been acquired by Razer, the companies said in a statement Monday. “With the talent that Nextbit brings to Razer, we look forward to unleashing more disruption and growing our business in new areas,” Razer CEO Min-Liang Tan said in a statement. And while the company is backing away from Robin, Moss hinted that there’s much more to come from the team. Writing on the company’s forums, Nextbit CEO Tom Moss promised existing users would continue to see software updates and security patches through February 2018. Though Razer plans to keep Nextbit as a separate unit within the company “focused on unique mobile design and experiences,” according to Nextbit’s CEO, the company stopped production for Robin and will no longer sell the handset or its accessories. 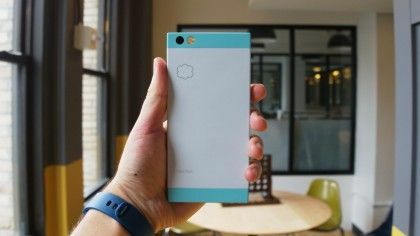 There is a lot of potential and talent.”But the carry-over will not include Nextbit’s Robin phone — which in any case was no longer being sold by Nextbit, either. For Nextbit, the startup has found a landing place where its business can tap a large existing audience of Razer customers and (importantly) fans. Nextbit had raised $18 million in funding from Accel, GV and Dentsu, plus another $1.36 million on Kickstarter as part of a crowdfunding campaign partly used to market the Robin smartphone. Three months after acquiring iconic audio tech company THX, Razer is making another move to expand its business beyond hardware and software for the gaming community. The company has acquired Nextbit, the startup behind the Robin smartphone, founded by Android veterans who had set out with high hopes (and some decent funding) to rethink how to build a mobile phone that leaned on cloud storage. Cloud technologyThis isn’t the first not-quite-related-to-gaming acquisition for Razer, as the company bought George Lucas’ own sound technology firm, THX, back in October of last year. Nextbit will fulfill warranties for the next six months though, and the company “will continue to provide software updates and security patches through February 2018”.